Within Staffordshire, we have 43 libraries, and our commitment to our citizens was to keep our libraries open and properly resourced. In 2009, we introduced public WiFi into 41 of our libraries and began a programme of reductions to our ‘back office’, the introduction of self service technology and a re-alignment of our opening hours - all of which realised financial savings of just over £1m. Throughout this programme, we maintained our resources budget, our engagement with key promotions like the Summer Reading Challenge and Adult and Community History Month and we invested in minor refurbishments. However, it became clear in 2011 that, like all local authorities, we were going to have to make significant reductions to all of our budgets – including libraries. Through the budget setting process, Cabinet agreed a reduction of £1.325m across a three year period. So we began the journey to transform Staffordshire libraries during 2012. It was really clear that libraries were facing incredibly challenging times and in many ways a very bleak future. We were dealing with changing demographics, changing customer habits and expectations, a changing local authority landscape and enormous budget pressures. Friends - enabling individuals and communities to stay connected and feel supported as part of a network. 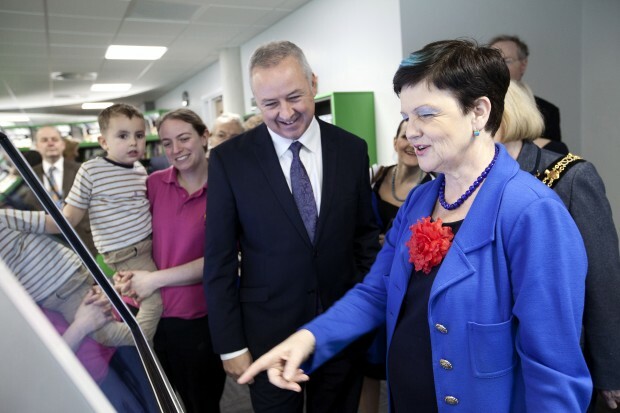 Libraries also have an important role in community memory and community narrative, and our space and our IT is vital in terms of enabling people of all ages to be connected, engaged and stay well and therefore able to live independently for longer. And importantly, libraries support and provide access to, and engagement with, services as they shift online. Libraries, as trusted spaces, have a vital role in skilling communities so that they are best able to access services through this route. Libraries provide support for business start-ups, lone workers and job seekers; job clubs and mentoring opportunities can all be located within local libraries. It is really important that they promote and generate community prosperity. Libraries also support people on their learning journeys. We encourage people to think and explore, and they provide the safe space and anonymity for individuals to experiment and to become creative. Within Staffordshire, we recognise that a really good, vibrant, local library offer which engages with and is informed by its community is essential. A good library should sustain a community. It should do this by enabling them - libraries do not teach children to read, for example, but, through their service, they enable them to practice the skill so that children become fluent and confident readers. Libraries enable people to collaborate and coalesce effectively around information and we provide the support which enables them to make sense of their world. A safe, trusted gateway to knowledge, culture and information which is curated, trustworthy and neutral, and that library space, whether that is physical or virtual, remains flexible, engaging and reflective of the community which it serves. And feedback via letters, emails, social media and 9 petitions. The consultation responses from the public and staff informed the final proposals in which all of our libraries will remain part of the County Council Network with no-one cut adrift. Community managed and community delivered. The new operating model, which has been drawn together by the service, has ensured that a core of professional staff will be employed to work across both our community managed and community delivered and also our County Council managed and delivered libraries. Through the consultation, a number of community organisations came forward and, following a procurement process, we are now drawing together contracts for 11 of our libraries which will be community managed and delivered by April 2016. We are excited by the range of organisations that have come forward, in particular, South Staffordshire and Shropshire Foundation Trust (SSSFT) who will take on the management and delivery of 8 of our libraries. For them, the library space offers a perfect environment within which they can ensure their service is locally available. They see this as an important stage within their preventative agenda. By April 2016, we will be into our second procurement phase and we recognise that will need to continue our conversation within localities. Our aim is to work effectively across communities to give them the best possible chance of success and, in turn, ensuring the best opportunity for Staffordshire’s library offer to develop and meet the needs of local communities. As a Cabinet, we have kept our promise to keep our 43 libraries open and to ensure that they are properly resourced - and this year we have re-located Stafford library into our new Council Offices: Staffordshire Place. We are incredibly proud of this library. 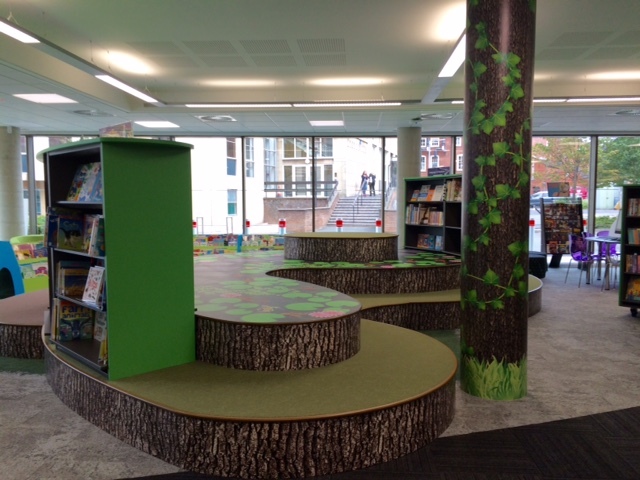 For Staffordshire, it is a model for future library re-locations/refurbishments. It is an attractive, welcoming environment where traditional book borrowing sits alongside new technology and is a flexible space that can accommodate learning, events and activities. It is the first library in the county to provide an Innovation Suite, a place that encourages innovation and creativity, support for businesses and the opportunity for people to learn new skills through short courses. It also offer customers WiFi and 3D printing. 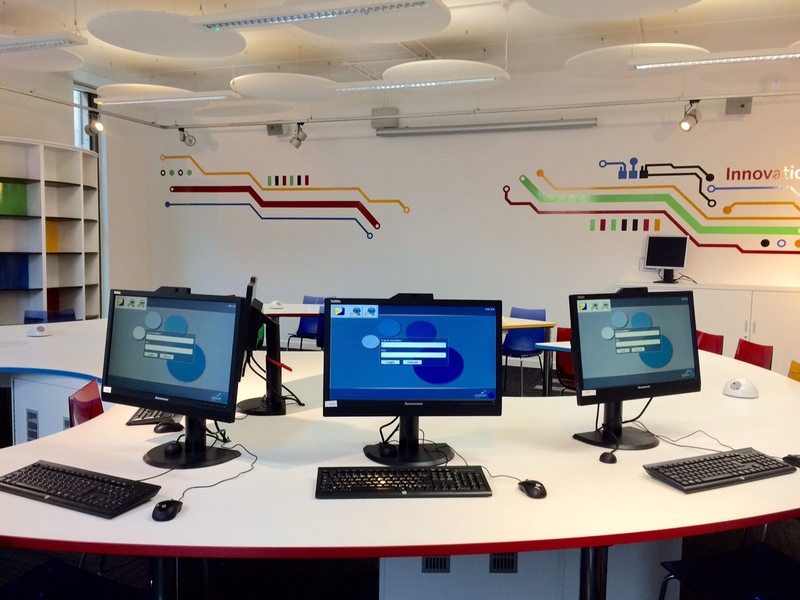 The digi-tables and screens provide improved access for customers to the library catalogue and other council services, including access to the digital archives collection. "I shall be in here between meetings." "It is the best library ever." "Very impressed and, as a ratepayer, I’m very happy at this sound investment in the future of the skills of our community. "It’s great, light and spacious with a lot more areas of interest and interactivity. Having more power points for laptop users is a real plus. In summary, it feels like a library should, a relaxing and fun place to learn." Find out more about activities in Staffordshire's libraries by following them on twitter.